Nutrition is a perquisite to healthy being. The healthier you are, the better poised you are to do well in life. It’s easier said than done! The times have changed; there has been a shift from traditional to ‘modern’ foods, cooking practices have evolved, consumption of processed and ready-to-eat food intake has gone up drastically plus intensive marketing of foods preparations have influenced people’s dietary behavior. To ensure, nutrition doesn’t take a backseat in between, let’s discuss how to get the best out of food. 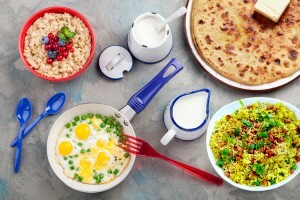 The first and foremost to healthy eating is to ensure daily requirements of food are met. Base your diet around carbohydrates, fats and proteins which are needed in large amounts while vitamins and minerals are required in small amounts. Use a combination of cereals, whole grains, pulses and a wide variety of fruits and veggies for the right balance of nutrients1. Fats have got a bad name, although, they are vitally important. Make sure you get a good dose of the right kind of fat. 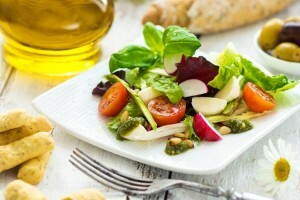 Healthy “unsaturated” fats are found mainly in plant foods (e.g. olive oil). For fat from animal sources, choose low-fat options such as lean cuts of meat or low-fat milk, yogurt and cheese. 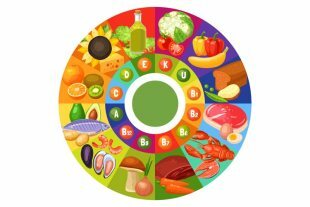 Apart from getting nutrients from the food, there are a host of other components which have a positive impact on health. One such component is a choice of cooking oil. 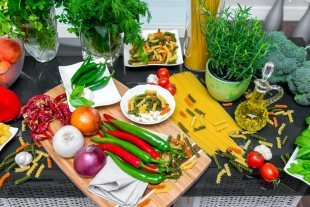 Cooking with olive oil has a range of wonderful health benefits, including lower risk for heart disease, high blood pressure as well as stroke, weight loss, reduced belly fat and a lot more. 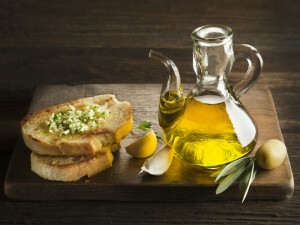 These health benefits of olive oil can also be attributed to its high MUFA content i.e. 75%. Owing to the presence of MUFA, olive oil forms a crust on the food and prevents excess absorption of oil. Investing time and money into preparing quality food doesn’t serve its purpose unless you don’t eat your food right. Slow down and chew food properly before swallowing for better nutrient absorption. 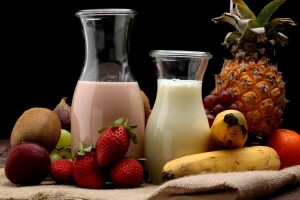 Snacks and nourishing drinks in between or filling up with healthy meals is a supplementation you require. Treat yourself with a veggie sandwich, fruit cake, nuts or whole fruits and stay energised all day. Balance is the key; settle into an active lifestyle. Choose best foods that give you requisite nutrition and get some physical activity to strike a healthy balance.